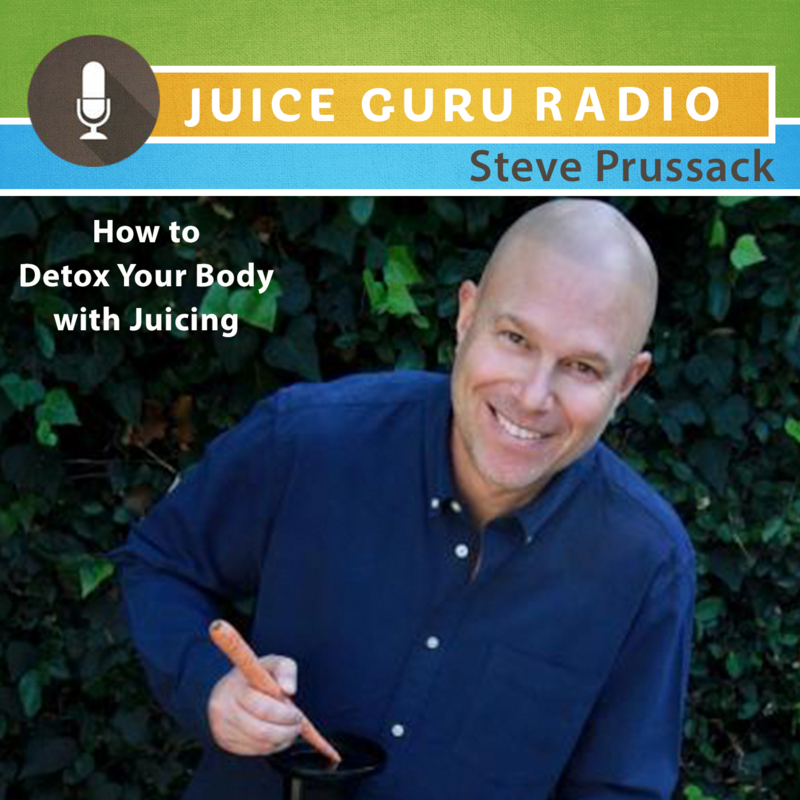 Join us for this special edition of Juice Guru Radio with host Steve Prussack. Why you need to detox your body a few times a year. How to become an Age Boss through the power of juicing. How to easily get started with juicing and your next juice cleanse program. Steve Prussack is the author of “Juice Guru: Transform Your Life with One Juice a Day”, “The Complete Idiot’s Guide to Juice Fasting” and the upcoming release “Juice Guru’s Juicing for Rapid Weight Loss”. He is the founder of Juice Guru, a mission dedicated to spreading the message about juicing and healthy living. He is the host of iHEARTRadio’s Juice Guru Radio. In addition, Steve is the founder of the world’s first accredited online Juice Therapy program, the “Juice Guru Certification Program”, accredited by the Complementary Medical Association (CMA). Join the FREE 10-Day Gentle Summer Cleanse by clicking here.